Images of the home and away jerseys have been shared on Twitter and Reddit with the Adidas logo on. The German manufacturers are set to take the reins from Puma next season after the Gunners signed a £300million, five-year deal. And the designs leaked on to the web have a distinct sense of early-90s retro about them. Arsenal won the old First Division in 1991 after Michael Thomas' iconic winning goal at Anfield in a yellow Adidas kit. 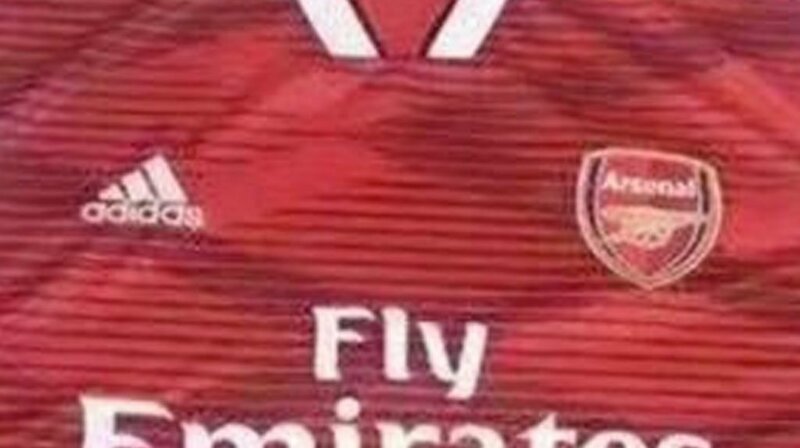 These leaked kits bear a striking resemblance to that old kit worn under George Graham when the likes of Tony Adams and Alan Smith were North London stars. Barcelona have the biggest kit sponsorship deal in world football, with their arrangement worth around £140m a year, while Manchester United's rakes them in around £75m a season. Arsenal's deal takes them ahead of Spurs and on a par with Chelsea. Manchester United's Adidas kits have also been leaked on to the website Footy Headlines, with a series of training jerseys also shown.